We have 350 truck parking spaces available. We have RV parking located along the east side of the main Kenly 95 Truckstop building in our expanded parking lot area. Yes, we are open 24 hours a day, 7 days a week, 365 days a year. Holidays, snow days, hurricanes, you name it, we’re open. Yes we do have one wheelchair available to use during your visit. First come, first serve. If you do need to leave your vehicle to meet a friend, we request that you park it in the Employee Parking Lot to the North and let our gift store know if you are leaving it for more than 24 hours. Our main building is nearly 37,000 square feet. How many people come to the Truckstop daily? We currently serve an average of 4,000 customers per day. Unfortunately we do not have wheelchairs and golf carts available to rent during the event. Yes Kenly 95 Petro offers free WiFi. Look for KenlyFreeWiFi from your phone, computer or tablet. 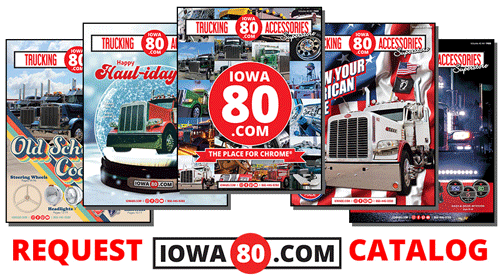 Can we return products from another Iowa 80 Group location to the Kenly 95? Yes, please call us at 919-502-7007 or visit the Gift Store cashier.